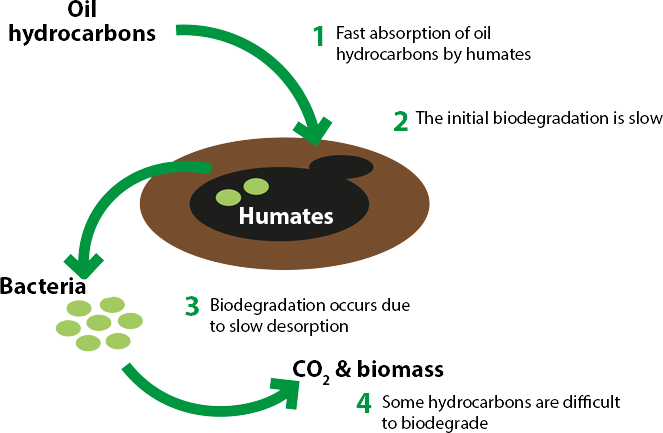 Humates are salts of humic acids, which are organic matter. Humates have common for all HS properties: polydispersity, irregularity of the structure and polyfunctionality. These properties are manifested due to the combination in the molecular structure of the aromatic core and the hydrophilic periphery, consisting mainly of aliphatic, oligosaccharide and oligopeptide fragments. 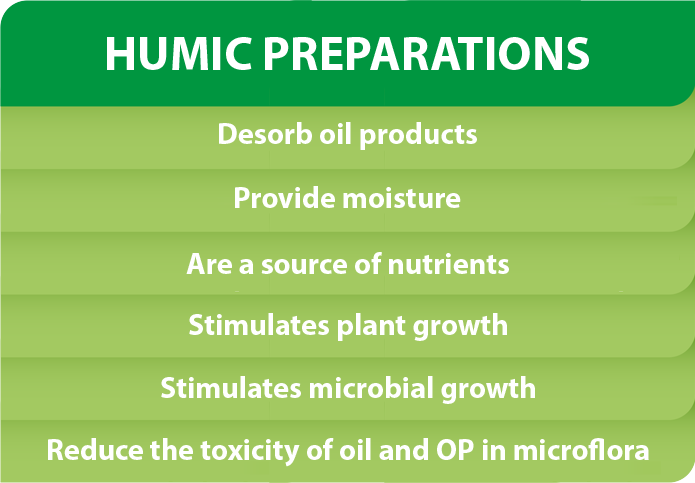 Humates are also called a large group of preparations made from soluble salts of humic acids. These preparation are used in plant growing, animal husbandry, medicine, construction, drilling, ecology, recultivation and land restoration. Reclamation methods used in foreign and domestic practice can be divided into three groups - physical, physico-chemical and biological. 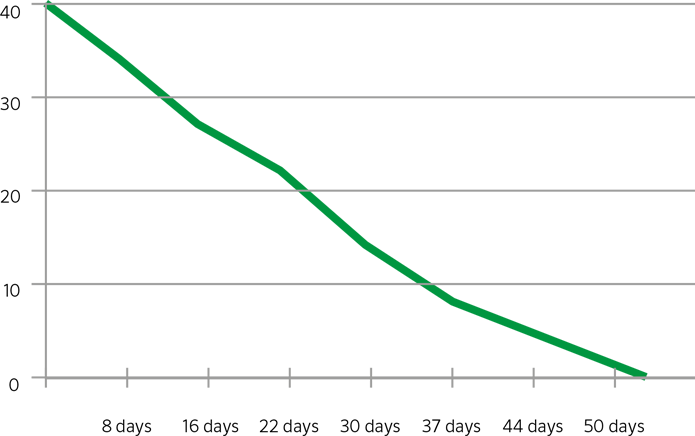 The use of humates as sorbents is due to the presence of reactive functional groups that allow humic acids to form stable water-insoluble compounds with metal ions and organic molecules that are contained in the soil and other habitat, polluting the environment, the ability to participate in ion exchange, absorbing harmful substances of the soil, as well as excess quantities of sodium, calcium and magnesium present in saline soils. Therefore, the use of free humic acids gives a good effect in the recultivation of, for example, saline soils, as well as the detoxification of land contaminated as a result of man-made human activities. Our method of detoxification and utilization consists in mixing components with soils contaminated with oil products. Our reagents were originally developed to treat areas contaminated by toxic substances as a result of man-made disasters. All reagents are natural for the environment, do not form toxic compounds in soil and water, do not pollute the atmosphere, and do not adversely affect flora, fauna and biogeocenoses, even when using high concentrations. The use of our method radically reduces the time of detoxification and rehabilitation, does not require expensive special mechanisms and heavy equipment. Our method activates and speeds up the natural processes of self-purification and self-healing, which determines its advantage in terms of environmental compatibility and the ratio "price / quality" in comparison with analogues. Our method allows you to locally dispose of waste production of oil-producing and refining enterprises on site. This eliminates all the problems of transportation, storage, storage of collected polluted soils and grounds. At the same time, the components limit and isolate the spill site from the unpolluted surrounding world, as well as eliminate unpleasant odors resulting from chemical and biological processes. «GRAN-M» is a microbiological preparation that is our unique invention. That it is a fundamental component of MMP «GRAN». Unique bacteria in combination with all components of MMP «GRAN» carry out the processing of soil contaminated with oil products (NZG, NSH, BS). «GRAN-G» is a humic preparation made on the basis of a humic substance, which is our unique invention, used as a component of the multicomponent microbiological preparation «GRAN». detoxifying oil-contaminated soils and grounds, restoring the properties and fertility of degraded soils. for the design and purification (detoxification and restoration of fertility) of the soil. In the presence of the strain PS2, emulsification of the oil product began 5 minutes after application. After making the necessary amount of MMP «GRAN», the treated soil area is plowed up with a plowing depth of 25 to 30 cm. 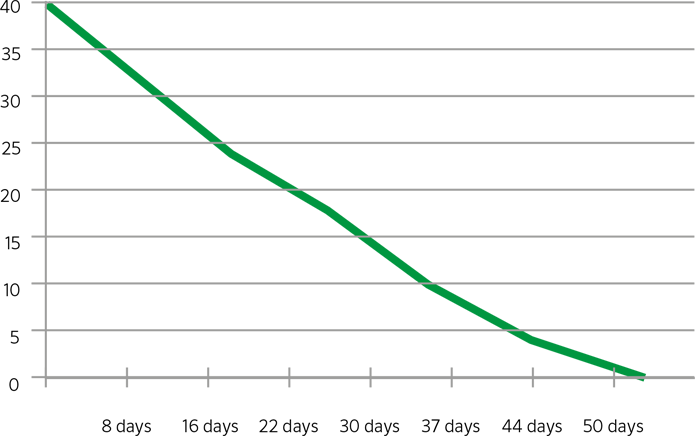 At the same time, the treated area is plowed 2 (two) times - along and across (or in any other cross sequence). The process is repeated 3-4 times and MMP «GRAN» is applied to the soil in accordance with the instructions for use. Thus, with the use of MMP «GRAN» in 100% of cases it is possible to achieve such a level of purification of contaminated soil and oil sludge, which corresponds to the standard indicators - GOST 17.2.2.01-81 (ST SEV 4470-84), GOST 17.4.3.03-85, GOST 17.4.4.02-84. The soil becomes safe and suitable for growing, for example, lawn grass and other non-agricultural crops. The problem of costly disposal, storage and (or) processing of contaminated soil and (or) oil sludge is solved. With the widespread use of MMP «GRAN» it is possible to achieve a significant reduction of harmful emissions into the atmosphere of heavy metals, which are an integral accompanying effect in, for example, heating or burning oil sludge. In addition, due to the relative ease of use of the preparation and the absence of the need to use expensive equipment (machines, mechanisms, appliances, etc. ), a significant reduction in the cost of cleaning the soil or oil sludge from contamination is achieved compared to other methods. The use of the preparation on sandy-clay soil at average daytime temperatures of 15-22 degrees Celsius, at night 8-12 degrees Celsius. The use of the preparation on sandy-clay soil at average daytime temperatures of 22-28 degrees Celsius, at night 17-23 degrees Celsius. We offer you this method of cleaning oil sludge and soil from contamination by oil products and heavy metals, thanks to which you can dispose of almost any sludge, emergency oil spills, etc. Acceleration of the decomposition of oil products in any soil contaminated by them. Removal of toxicity of oil sludge and land contaminated by oil and oil products. Restoration of fertility of degraded plots of land, as a result of accidental pollution with oil products. Disposal of any sludge obtained during oil exploration and production. Disposal and complete disposal of temporary or old sludge storage facilities. The multi-component microbiological preparation "GRAN" is transported and stored in accordance with the Sanitary Regulations and Standards SanPiN 1.2.2584-10 "Hygienic requirements for the safety of the processes of testing, storage, transportation, sale, use, disposal and recycling of pesticides and agrochemicals". The preparation «GRAN-M» - liquid, packaged in canisters of 5 and 20 liters. The preparation «GRAN-G» is a homogeneous pasty mass, packed in 200 l in barrels. The preparation «GRAN-S +» is a dry powder, packed in a big run.